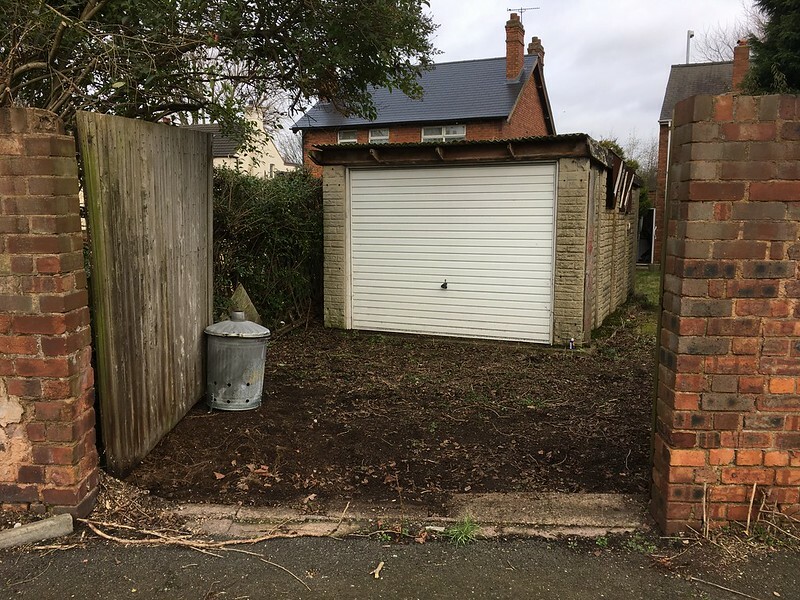 Whilst I wait for some garage space so I can continue with NWL I managed to rescue this beauty from a garage up in Bilston. 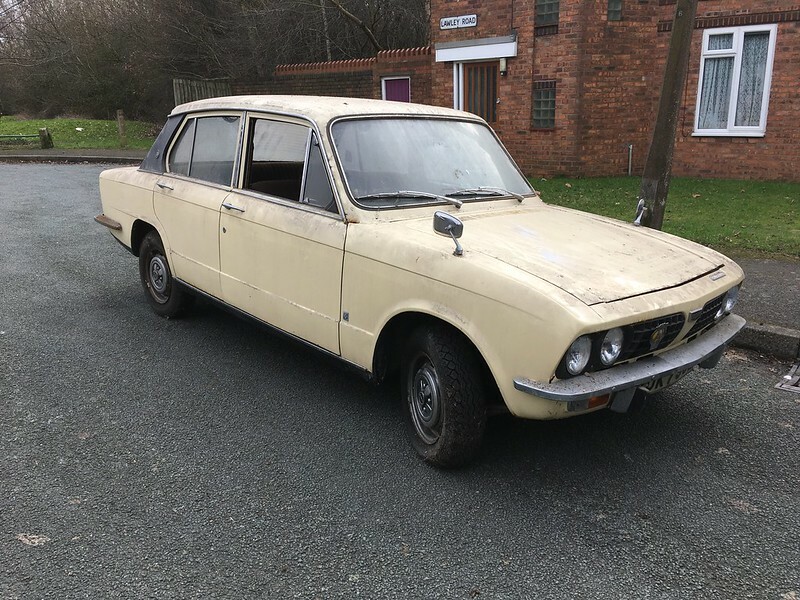 A 1972 Dolomite Auto in Honeysuckle, registered very very early '73 so must be a '72 build. It belonged to a chaps Aunt who had died recently and he wanted to see it back on the road and not scrapped. 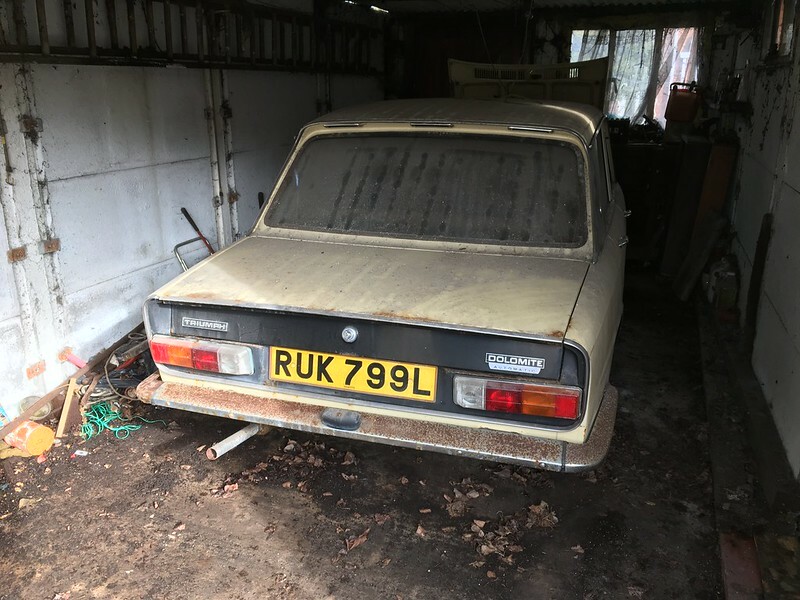 So the story goes is that she was bought new by the sellers grandfather, when he died in 1982 it was passed to his uncle then when he died in 1984 it was passed to his aunt who drove it a bit until 1997 when it was driven into the garage and left. so it is a genuine 3 owner and one family car. I have loads of history which confirms this so it has a nice story behind it. It has been sitting in here for 20 years. We had to clear some foliage just to get the gates open! As you would expect from a car thats been sitting for so long the tyres were flat and the brakes were seized. 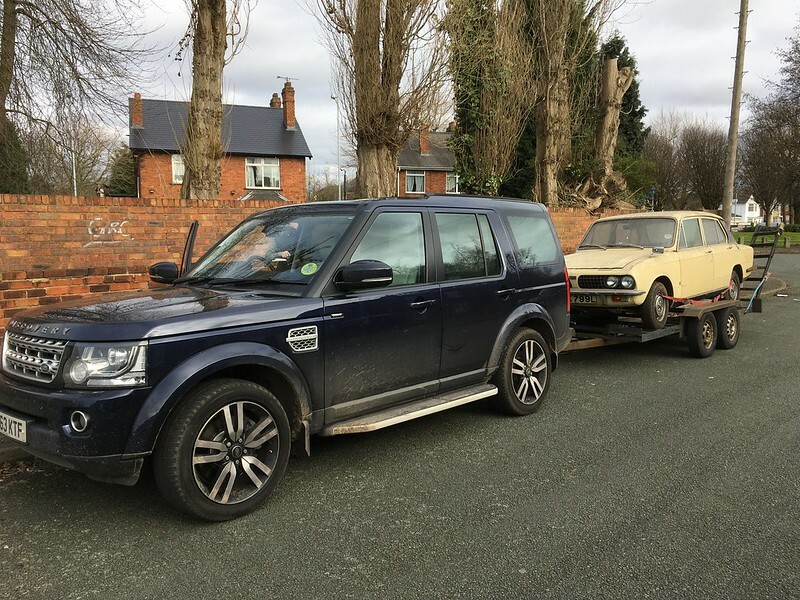 So off came the wheels and I managed to strip the rear brakes and remove the calipers so we could at least use the discovery to drag it out of the garage onto the road so we could get a good look at it and some air in the tyres. Condition wise for a car thats been standing in a relatively dry/damp floored garage for 20 years its very good. Obviously the rear bumper is past it! 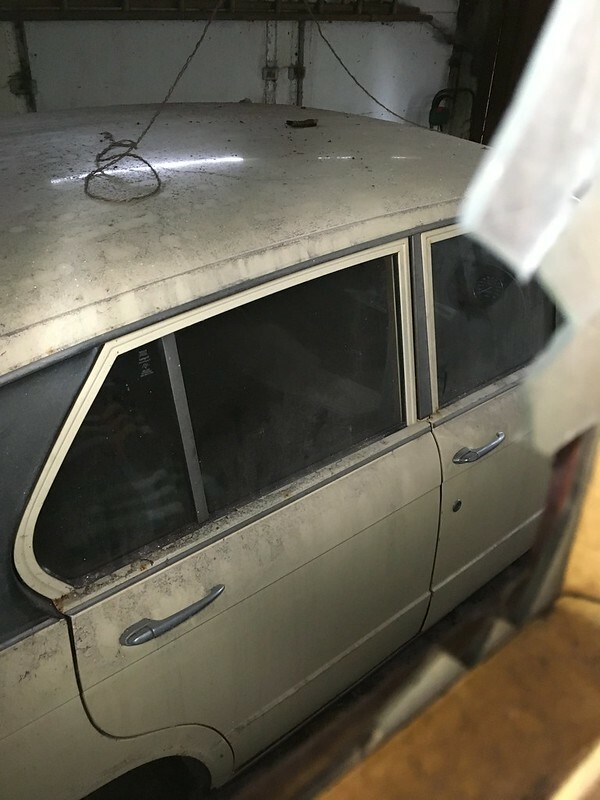 However, the underside is solid, drivers side front and rear door bottoms are shot, there are a couple of smallish holes around the bottom of the windscreen and the drivers side inner valance will probably need some attention, a weekends welding, honestly. But that's as much as I can see at the moment so we shall see. The interior, apart from being dirty and smelling bad, I would describe as exceptionally good. One of the cappings has a small amount of cracking on it and thats it, it just needs a damn good clean. I'll take some photos when the light's better. So it was onto the trailer and back down the M40 to deepest darkest Hampshire ready to be put back on the road. Shes now back home with me nicely tucked up next to NWL. The sun was out today and the area in front of the garage is a sun trap so I opened all of the doors and windows to give her a really good airing, she now smells a lot better! Last edited by James467 on Sat Apr 15, 2017 7:07 pm, edited 2 times in total. So what to do with her? Just got a quote from Lancaster of £88 for the year so she will definitely be going back on the road. 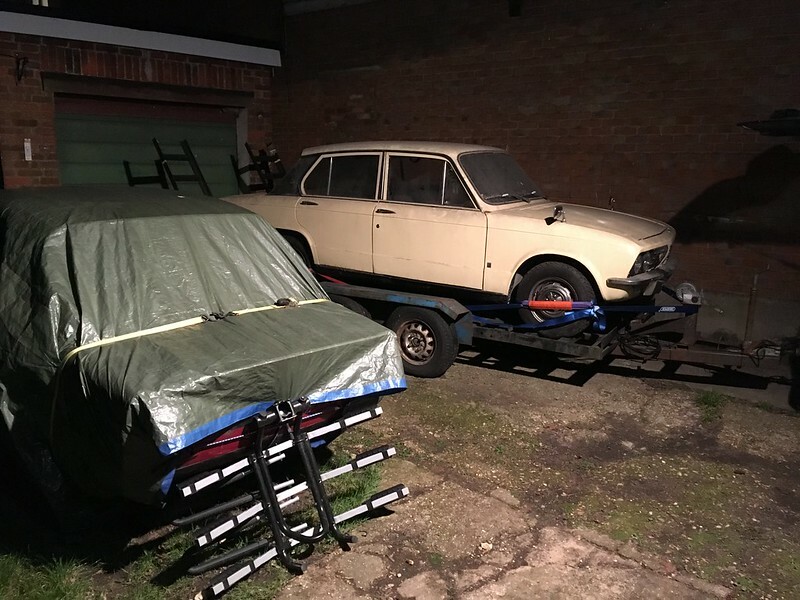 This should be a nice easy weekend project so I have decided that she is going to be a daily runaround, not a concours show car so I'll clean her off as soon as I get the chance and make a shopping list for Alun so I can get her through an MOT and back on the road hopefully ready for the summer and TDCIR. What a find. Get it back on the road James. I wish I could take another Dolomite on but I don't have the space. I've added it to my database. Incredible, 20 years in the garage, my car was busy rotting the sills away. Considering it's a one family car, have you managed continuity ? The first thing you should do is to get it running. I hope you know what you're letting yourself in for with the Delco dizzy! They can be a pig of a job to set up. Electronic ignition would be a wise investment if you're going to be putting it back into regular use. A good clean will take years off it. If the bushes are tired then I would highly recommend fitting Super Flex bushes. They will transform the car without being too harsh. It was one of the best things I did to mine. 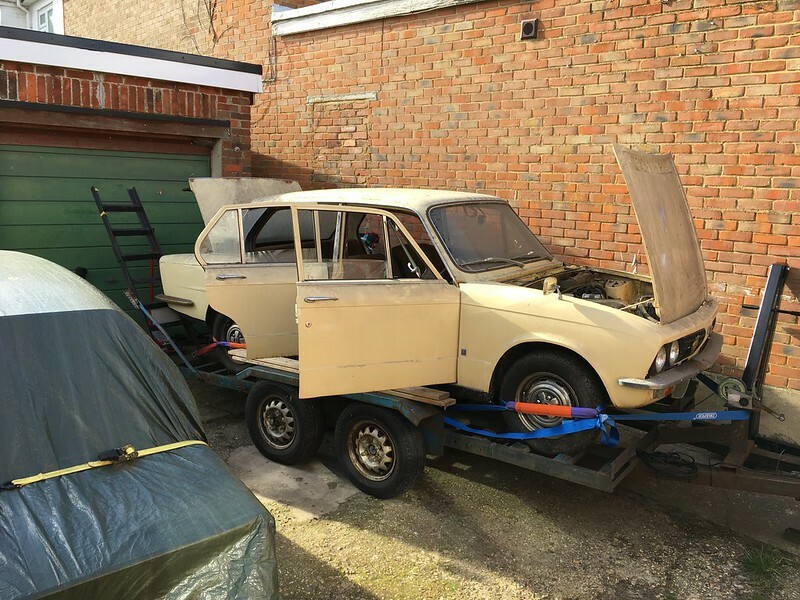 Actually, I think the first thing to do is to get it off the trailer and thoroughly cleaned so I can inspect it properly and asses what it needs to get through an MOT! Then I'll go through my startup procedure and try to get it running. I'm not worried about the dizzy, I have an optronic system in the workshop that will go into it. No way am I putting superflex bushes in it, it's going to be used every day, I cant stand them!! I'm looking forward to taking my daughter to school in it, legally she can ride in the back with no seatbelts, it's only literally down the end of the road so a very short journey. But the look on the Range Rover mothers brigade faces when she gets out will be priceless. Oh the shock of a child riding in the back of a car with no child seat or belts!! The sills on this have been replaced, not a bad job as well. I'll have to get the inspection camera in there to have a look when I rustproof it. Not sure I understand Mahesh! The V5 I have is a very old one, possibly a 1990s version, signed by the executor of the estate. 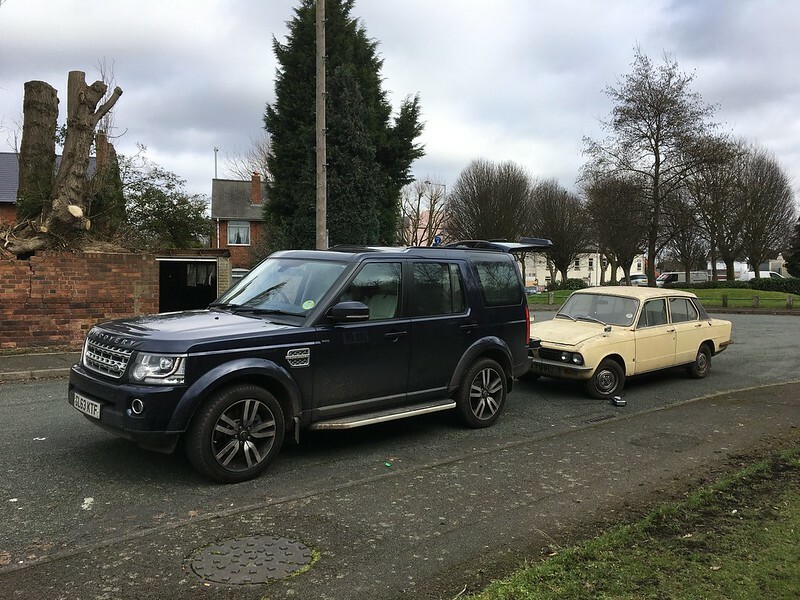 I have spoken to the DVLA and have filled in a V62 and V890 and popped them in the post with the old V5 and a covering letter. I have taken copies of everything of course! James, I don't know what you have against Super Flex bushes. They're not much harder than rubber so you get the best of everything. 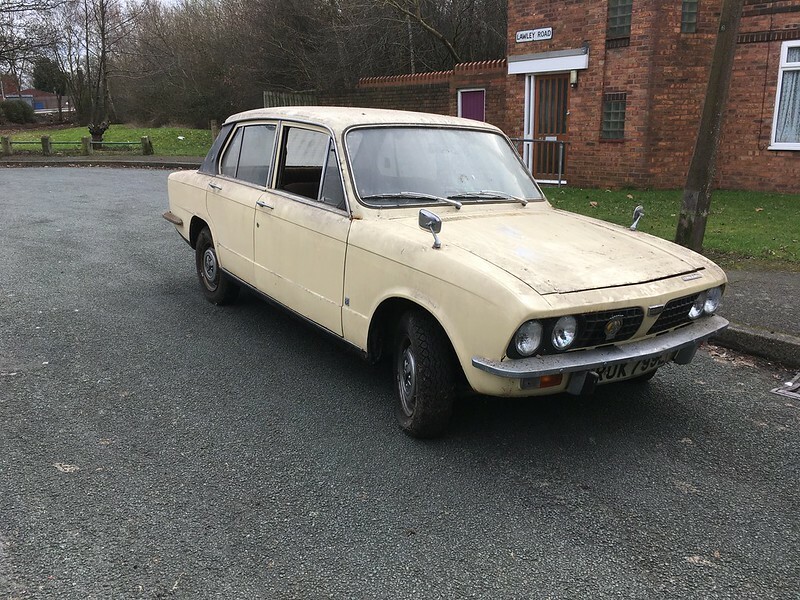 I don't expect you to swap everything out wholesale (the rear suspension on mine is still on the original rubber bushes had has got through every MoT during my ownership) especially if they don't need to be replaced. The other alternatives are Polybush (in a nice fetching shade of orange) which are the only other bushes I'd recommend or those that a certain supplier sell about which I've heard horror stories. At the end of the day it is your call and we have to respect your choice even if I disagree. Sorry Dave but im just not a massive fan of them, personally I just find them a bit too harsh. However I am always happy to be proved wrong. How is your exhaust? I'm pretty sure mine will need replacing and of course there's only one place to get one from! Whilst I agree with your opinion of rocks in general as suspension parts there are two locations on a dolomite where ICBA to replace itty bitty bits of rubber, er, at about 10K per set. I forget the correct names. Front tie bars at the subframe, rear tie bars at the axle. Neither make much difference to noise as both have meaty lumps of tree sap at the other end. Superflex are an Australian manufacturer of polyurethane bushes. so are marketed as replacements. They all have proper stainless steel tubes where needed. All of their bushes are either a very dark blue or very dark purple. 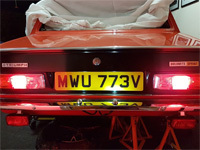 Having fitted an entire set to a Dolomite, I confirm that all fit correctly and easily. after all I have been a passenger in a five year old BMW 5 series for some 17 miles. Judging by a quick scan of ebay listings, there are a lot of Superflex fakes/copies out there . Myself, I will only buy through Chris Witor (the EU appointed importer for Superflex). 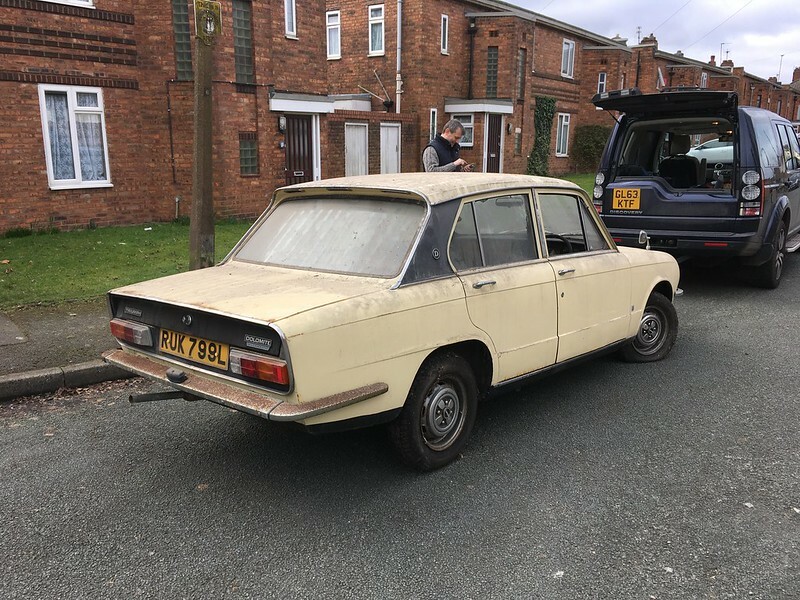 I think that this is important because Chris has had remanufactured lots of parts for Triumphs including the small saloons. Just short ago, he has commissioned bushes for T1300 track control arms, making him the only source of these. I disagree that Superflex are all the same shore hardness as original, they are more like an uprated rubber bush when I've compared them, harder but not so much and certainly less twist (which isn't determined by the shore value). A good example are wishbone bushes. You compare a Superflex one to a standard rubber one, the rubber one is much squishier and easier to compress. Or look at a trailing arm bush and compare it to an uprated version of the rubber, very similar. Superflex do not identify the shore hardness of their product and nor does the colour indicate it, except red which is typically much harder. The harness also varies from bush to bush so some might be a 70, others might be 85 for example. On dismantling my old car I found a number of poly bushes on the car. I never found them too harsh but the ride was noticeably firmer and more controlled than my 1500's which were all rubber. Now the Sprint has Spax dampers fitted which would have contributed to that but a lot of the improvement was down to the bushes. Some of the Polybush branded bushes can be supplied in 'comfort' spec which I believe is closer to original rubber but have the benefits of polyurethane. For example you can buy trailing arm bushes in this spec which is what I chose to fit, more to avoid over stressing the arms and body mounts rather than to preserve the ride. Personally I favour polyurethane bushes for reasons of long life more than anything else, fit and forget. Plus the quality of a lot of remanufactured rubber bushes can be dubious. I don't rate most shock top bushes and these are a pain to change, as are subframe bushes (also available in Polybush Comfort). Personally I hear too many stories of crap product from anyone other than Superflex or Polybush so wouldn't bother. Ultimately it's your car you do what you want! We can argue about bushes once she's back on the road. 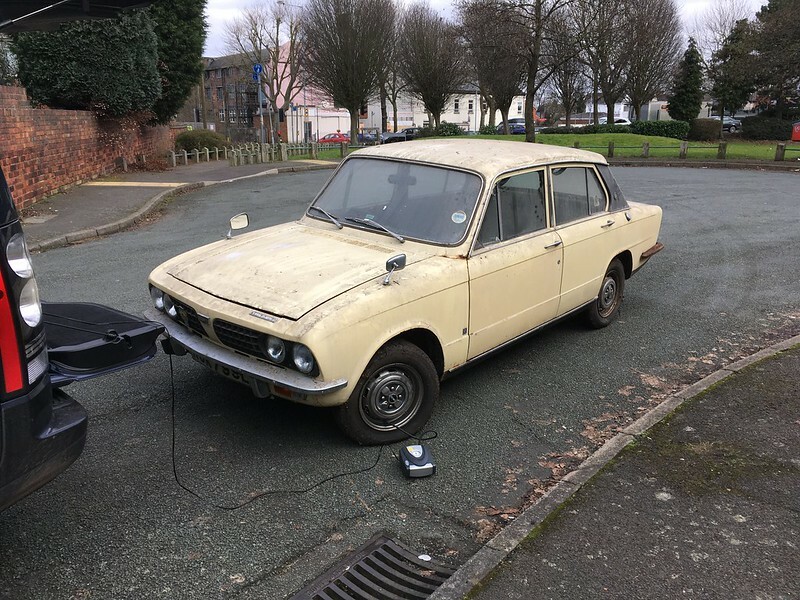 V62, V890 and the old original V5 have been sent of to the DVLA this morning so we are one step closer to an MOT at least! I also gave her a quick covering of snowfoam and a jet wash to get rid of some of the dirt. Hasn't made any difference mind you! How much still exists after the jet wash? I was going to post a link to a picture of elbow grease until I found out it is now an actual product! I'll settle for this one!